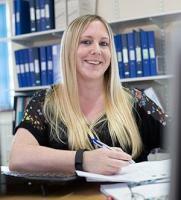 Electrical engineer Emma Fulcher has joined navigation aids specialists Pharos Marine Sims Systems. Fulcher, who previously worked at Proserv, Great Yarmouth, has joined the design engineering team at its Gorleston base. Her role involves designing navigation aids systems for offshore platforms, which include foghorns, marine lanterns, fog detectors, solar regulators and solar panels. Fulcher, who achieved her offshore qualifications and Higher National Diploma (HND) whilst working at Proserv, where she designed subsea control systems, completed an engineering apprenticeship with Lintott Control Systems in Norwich.